Providing wholesome education to students; Transforming the Society. At the close of every year, many students leave Starehe to join the outside world. After successfully completing the four years of high school education, the words of he charge are rad out to them. This is a call foe them to stand out and practice what they have learnt in the school throughout their stay. Starehe Boys' Centre and School runs a Centre, Secondary School and a tertiary Institute offering Accountancy and Computer studies. We are a truly an extraordinary place of learning. Our talented staff provides each student with a rigorous standards, high academic excellence and the best discipline on individual levels. 1. "Happy are those who dream dreams, and are ready to pay the price to make the dreams come true." 2. "To those whom much has been given, much is expected." 3. "The path of duty is the way to glory." " Starehe Produces the best Crop of Leaders you can ever imagine working with. I have several managers here with me." 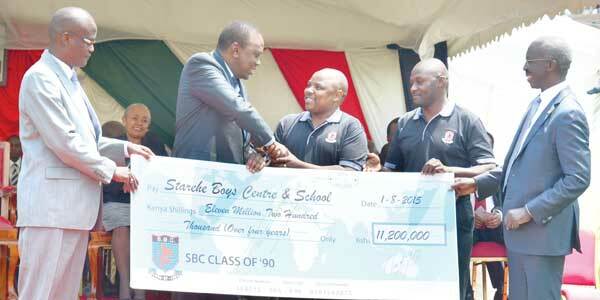 " Starehe is one of the schools I'd wish to visit over and over again. I always feel at home here."